Islamabad – In South Asia, the first known sculptures were found at sites of Mohen-jo-daro and Harappa (in Pakistan) from Indus Valley civilization around 3300–1700 BC. However the art of sculpture could not flourish in the country as the artists were not encouraged to work in this medium due to religious and societal reservations. 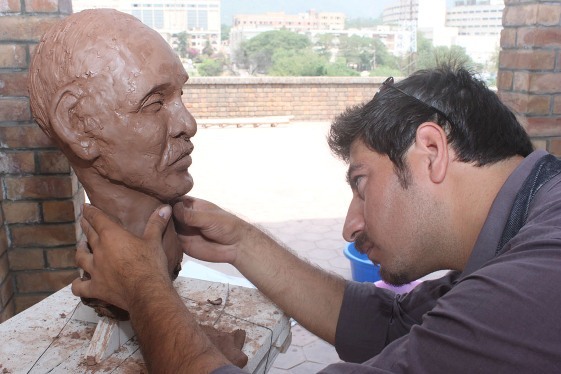 Realizing the significance of the art of sculpture, Pakistan National Council of the Arts starts a Five-day workshop on “Creating Sculpture” today. Sculpture is a three-dimensional artwork created by shaping or combining hard materials – typically stone, marble, metal, glass, or wood. The objective of the workshop is to facilitate students and interested individuals to express their creative potential in this lesser explored medium. 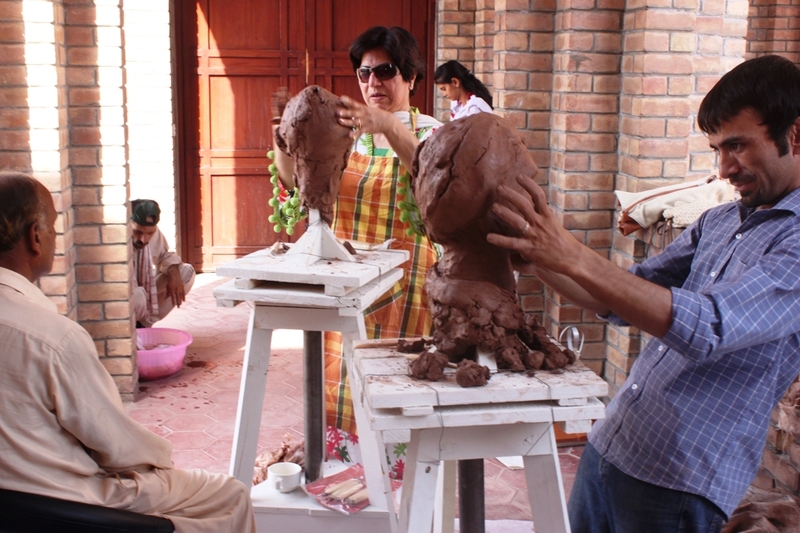 Three artists, Sajjad Akram, Ayub Wali and Imran Hunzai, will be training the participants. On the first day, the participants, students from colleges and young artists, were briefed about the basics of sculpture, its history, tools and materials used and the methods employed in sculpting. Imran Hunzai explaining the art techniques to the students. 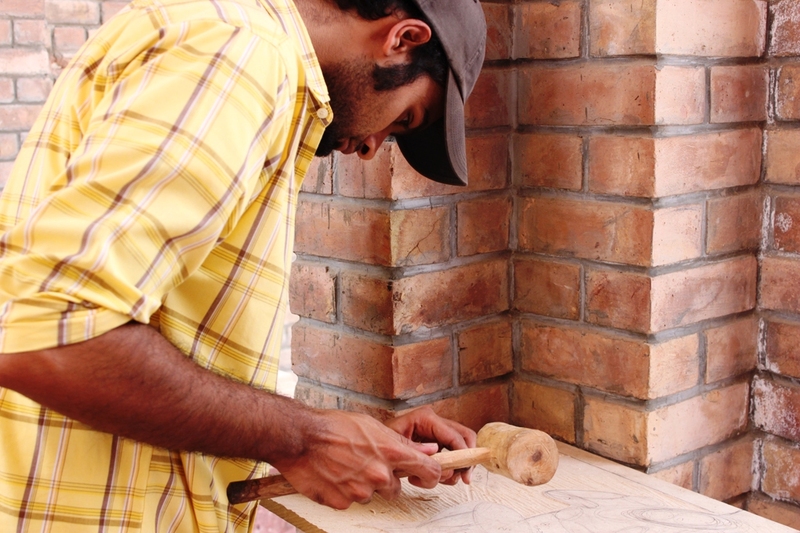 Sculpture workshop would provide a unique chance to the students to learn from lmran Hunzai, an eminent sculptor who is a faculty member at NCA, Rawalpindi Campus. 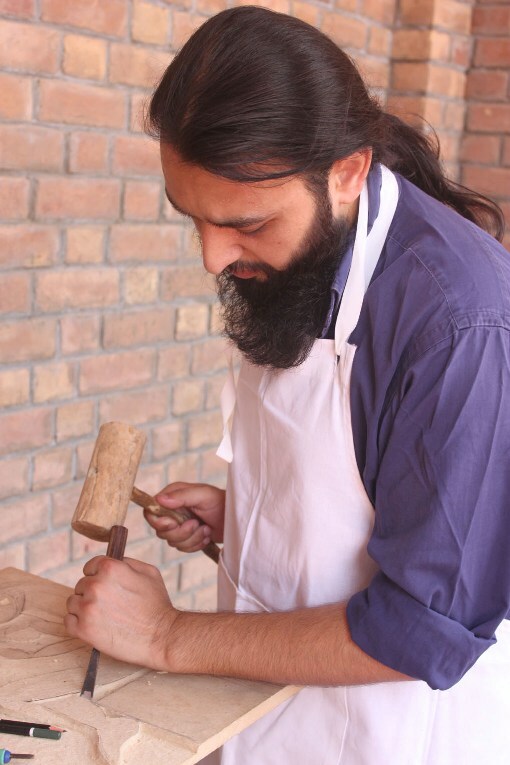 Imran’s expertise is in wood sculpture and he would demonstrate his skills at the training by teaching the basics of wood sculpting in 2-D and 3-D.
Sajjad Akram, a young dynamic sculptor associated with Fatima Jinnah Women University would guide the students to make human head with Clay and Plaster. 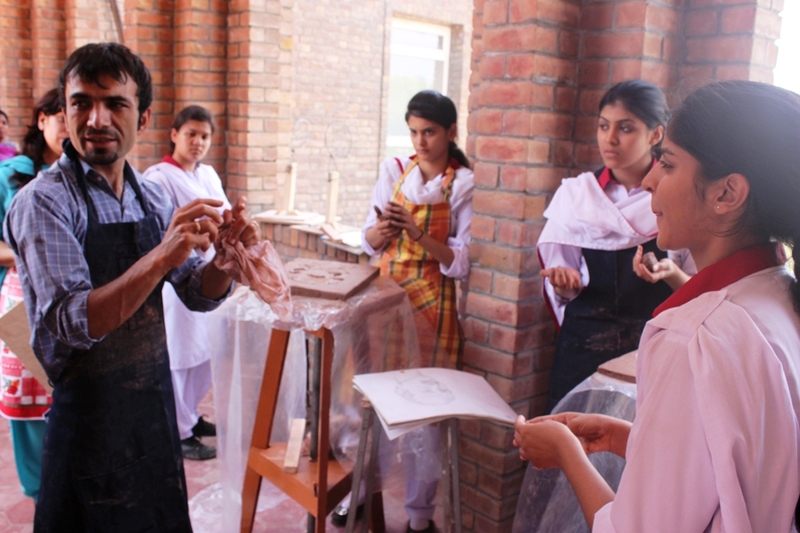 Ayub Wali, a young multi faceted artist from Gilgit/Baltistan would teach the students about the use of fibre glass, a medium commonly for sculpting and making low and base relief. 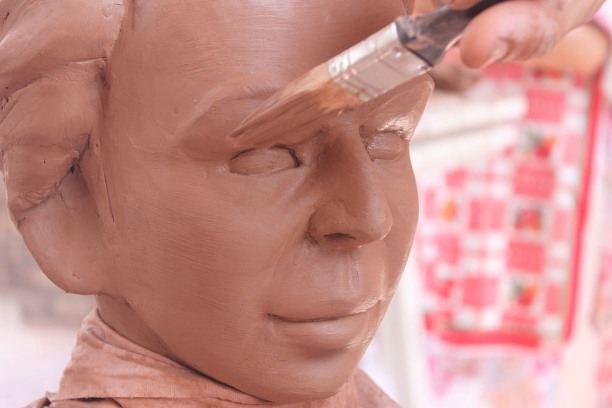 During the five days workshop the participants will also be given opportunities to see the works of famous sculptors both national and international through multi-media presentations, lectures, talk and question answer sessions.